Let me start out by saying this saw is not available in the United States and if it ever does make it to the US, it will probably be many years from now. 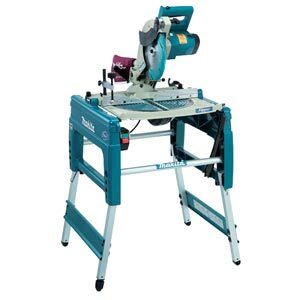 The Makita LF10000 10-inch saw uses a rather unique design to accomplish its dual purpose abilities. When you first see the saw, it looks like a typical miter saw, but hidden is the saw's ability to completely flip upside down to be used as a table saw. It takes around 60 seconds to change the saw back and forth between modes, so it is probably not going to work for everyone. But as with all dual function tools, there is always a tradeoff. Think about how much extra room you would have in your garage or truck verses having two saws. Video after Read More.